Danielle and I were lucky enough to join Blog & Tweet Boston for an evening of food drink and live music at not one, but two neighboring establishments in the financial district. A short walk from South Station, and about 10 minutes walk from the Boston Convention and Exhibition Center (home of PAX EAST) are Bel Ari and Les Zygomates! Both restaurants are owned by Mark Tosi, president and co-owner of the Pastene Company; a brand featured prominently at the Bar over at Bel Ari. First up on the progressive dinner was Bel Ari, which offers modern Italian cuisine. What began as a helping of sunflower cranberry bread with a whipped ricotta spread soon led to arancini del riso, and w terrific entree of shrimp & lobster gnocchi (made fresh on-site every day). Next we moved next store to Les Zygomates which offers more traditional cuisine and wine bar; I got to order a large flat-iron steak as a seond entrée, and finished the night with a crème brulee. Both restaurants featured art from Janice Lindsdale, who has done a great job pairing her work with each location to both match their own unique atmosphere and tie the establishments together. Danielle and I had a great time; many thanks to Bel Ari and Les Zygomates for hosting and for Blog & Tweet Boston for organizing the event. 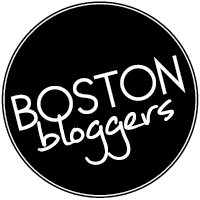 This entry was posted in Events and tagged Blog and Tweet, Boston, Food. Bookmark the permalink.